The deadly algal blooms in the Great Lakes of the US in the recent past remind us that water is teeming with life and the nutrition to sustain it. Naturally occurring organisms in surface and groundwater can be beneficial, as in the case of Nitrosomas that help keep fish alive in lakes and streams. Other organisms in water can be a massive nuisance, such as blue-green strains of algae that produce dangerous toxins such as microcystin. Other organisms (such as iron-related bacteria, sulfate-forming and slime-forming bacteria) are becoming more prolific; I receive a lot more calls about these organisms than ever before. 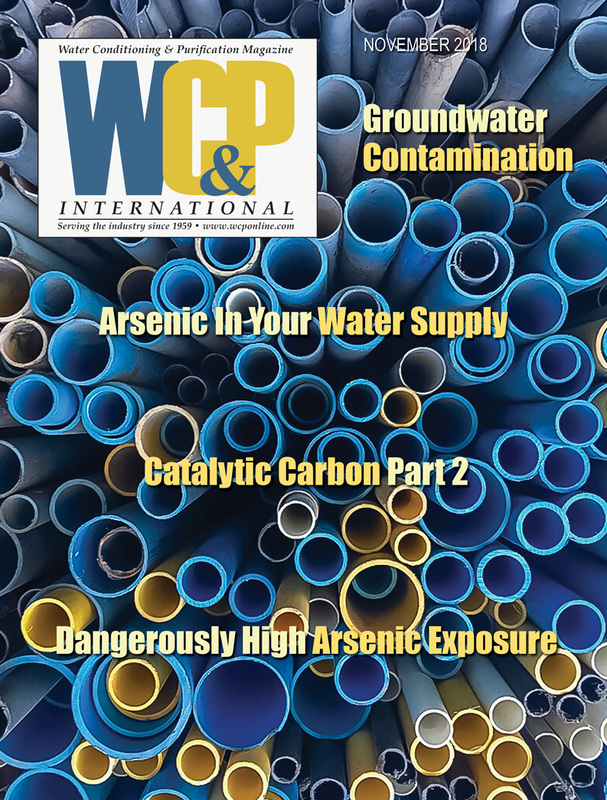 Addressing nuisance and dangerous organisms in drinking, working and irrigation water is an important part of the responsibilities of a professional water quality improvement expert. A number of methods are available for addressing problem organisms and they can be divided into four broad approaches: physical filtration, chemical lysis, ultraviolet radiation and oxidation. Each of these approaches has specific advantages and disadvantages. One tool that tends to be overlooked is oxygen and more specifically, the triatomic allotrope that we know as ozone. As an unstable molecular bond of three oxygen molecules, ozone has a very short half-life compared to O2, its diatomic cousin that we breathe every day. 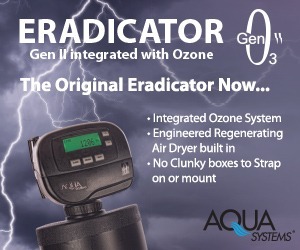 Ozone’s instability is what makes it so valuable to a water dealer; it oxidizes everything it touches for about 30 minutes at room temperature and then fades away into safe, stable O2. Ozone develops naturally through solar radiation and lightning strikes. Ozone is what makes the air smell clean after a rainstorm. Synthetic ozone generation can be accomplished through corona discharge, UV radiation, electrolysis and radiochemical reactions. Each method requires the addition of external energy to disrupt diatomic molecular bonds to allow the formation of ozone molecules. We shall examine two of the most commonly used methods in our industry. UV light. Ozone is developed when exposing oxygen to UV light in the ~185 nm spectrum. Ultraviolet energy dissociates oxygen molecules and allows for ozone molecules to form. These systems are generally the cheapest technology to buy, but require significant amounts of energy input as compared to some other methods. One of the touted benefits of UV ozone generation is that little or no air preparation is required and the process is less sensitive to ambient humidity. Remember though that ozone output quality is inevitably related to the input air quality, so without giving it clean, highly oxygenated air, the UV-based ozone generator will produce very low concentrations of ozone and still suffer potential moisture-based complications. Corona (cold spark) discharge is capable of greater ozone output per unit of electrical input than other methods, making it the most common form of commercial/industrial ozone generation in the water treatment industry. These systems use a high-voltage power source, anode, cathode and a suitable dielectric separator. Dry, oxygen-rich air passes between the electrodes over a dielectric, creating an electric field (corona), which allows for the destabilization of diatomic bonds and the subsequent formation of ozone molecules. The voltage and frequency of the electrical input have a dramatic impact on ozone production. Voltages from 10 to 30 kV are commonly used, at frequencies anywhere from 60 Hz to 4 kHz. One generally sees increases in production at higher frequencies, but those higher operating frequencies can increase production costs and operational complications. Corona discharge systems are quite sensitive to the incoming air quality and work the very best with clean, cold, dry air. When moist air is introduced, nitric acid can develop, which will cause serious performance and maintenance problems, even to the point of destroying the reaction chamber. Remember to keep the feed air cool, dry and particulate filtered to five micron or less to ensure the very best results. Water disinfection. Ozone is certainly an alternative to chlorine and chloramine for water disinfection. Ozone kills living organisms faster than chlorine, without creating the same carcinogenic VOCs. When disinfecting water, ozone is best used together with chlorine or chloramine though, since a disinfectant residual is required to ensure downstream protection. When using ozone as a primary disinfectant, the amount of chlorine required to ensure an active residual disinfectant level in the water can be reduced. Industrial clean-in-place (CIP) systems. All food, beverage and vitamin production facilities have an established need for non-toxic CIP solutions. Ozone dramatically simplifies CIP by lowering heating-energy costs, reducing the amount of cleaning chemicals required and eliminating disinfectant chemical residuals. Beer and wine. Breweries and wineries have unique requirements and complications when it comes to the water used for cleaning, brewing and fluid transfer. Chemical DBPs can destroy the delicate flavor and aromatic character of beer and wine, so ozone is an intuitive choice for disinfecting barrels, washing bottles and even fumigating the air in aging rooms. Some brewing operations even use ozone for micro-oxygenation of their wort, enabling a more robust and complete primary fermentation to occur. Waterfalls, fountains and other water features. The increasing usage of decorative indoor humidification and ‘living walls’ has resulted in a massive increase in atmospheric water exposure in homes and buildings. Water features can become major indoor air quality (IAQ) liabilities contributing to the growth of mold, fungus and even Legionella, if contamination is not properly controlled. While many water-wall manufacturers design UV disinfection into their recirculation chambers, field experience has shown that the most effective method for keeping undesirable organisms under control in this kind of application is simple ozone injection. Ozone also aids in controlling odors from organic decomposition and minimizing the propagation of mold and fungus in the arrangement. Wastewater remediation. 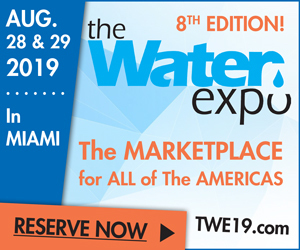 Wastewater is increasingly becoming the focus of regulatory scrutiny, whether from local sewer districts or federal authorities, as an increasingly important source of operating revenue. Every plant operator must be certain that BOD, COD and TSS levels are compliant with the local guidelines. Ozone and advanced oxidation processes (AOP) are invaluable tools for attaining these goals economically and reliably. Cooling towers. Airborne mold, fungus and bacteria are significant concerns to building operators maintaining a cooling tower. These contaminants can foul heat exchangers, contribute to microbially induced corrosion and inevitably, endanger human respiratory health. Properly executed ozone treatment effectively eliminates living organisms and other organic challenges from the recirculating water stream, which aids in minimizing hard-water adhesions that typically form within a biomass. Iron, manganese and hydrogen sulfide. This terrible trio cause color, odor and staining issues in water that negatively impact residential, commercial and industrial users. Ozone effectively oxidizes ferrous iron into a ferric form that is easily filtered by appropriately sized multimedia filtration. Ozone has the same effect on manganese contamination, but does require more ozone to perform the same effect. As a side benefit, ozone is highly effective in destroying iron-reducing bacteria and other iron-related bacteria that contribute to undesirable tastes and odors, and foul treatment equipment. Hydrogen sulfide (H2S) and sulfur-related bacteria are responsible for bad odors and corrosive conditions in well water. Ozonation can be effectively employed to kill these bacteria, neutralize odors and oxidize hydrogen sulfide into a physically filterable precipitate. Pools, spas and aquatic ecosystems. Ozone is highly effective for addressing organics, controlling algae and killing bacteria in aquatic applications. Ozone concentrations as low as 0.5 mg/L have been shown to be quite effective in killing waterborne pathogens like Legionella and Pseudomonas in much less time than with chlorine or bromine. In swimming pools, the most exciting benefit of ozone is the reduction of chlorine usage and of course, the associated chlorination byproducts such as THMs and chloramines. Determining the ozone demand of the water requires an accurate water analysis and an understanding of the amount of ozone required to react with certain contaminants. All experts have their opinions; the data below is from the criteria that I use when sizing systems. Consult with your vendor and decide what you both are comfortable with before proceeding. Grams of ozone per hour = water flow (liters/hour) x ozone demand. 1. Calculate the flowrate to be treated in L/hr. Convert US customary units to metric as follows: (GPM x 60) x 3.785. For example: 10 gpm x 60 = 600 gallons per hour 600 gph x 3.785 = 2,271 liters per hour. and even water temperature fluctuations will interfere with textbook ozone demand calculations, so plan for an appropriate reserve capacity of 20 to 30 percent beyond minimum to allow for flexibility in treatment. It’s much better to throttle down the ozone production rate than to wish that you had more to work with. OSHA guidelines for O3 in the workplace are based on time-weighted exposure metrics. Ozone levels should not exceed 0.1 ppm for each eight-hour-per-day period of exposure doing light work. A good rule of thumb is that if you can smell ozone, the concentrations are high enough that you should immediately evacuate the area and properly ventilate it before returning to work. Think of ozone as a dangerous animal. When handled carefully and with respect, you’re going to be safe; if you let it out of its cage or treat it without the appropriate respect and caution, it will most likely hurt you and others. When designing an ozone installation, always make the safety of installers and users your goal. Ozone generators should be kept cool, with an ambient temperature below 80°F/26°C whenever possible (higher temperatures make it harder to produce higher concentrations of ozone and will cause faster degradation of the compound). Humidity should also be kept well below one percent to prevent the formation of nitric acid within corona discharge ozone generation chamber(s) and the ozone distribution piping. After calculating the ozone demand for the application, choose a quality ozone generator from a reputable vendor. Consult with your vendor on whether you will use a liquid oxygen feed, oxygen concentrator or ambient air feed. Then discuss the ambient operating temperature and relative humidity and plan for appropriate cooling and dehumidification as needed. Select a method for injecting ozone into the water stream. Venturi injectors are simple and relatively inexpensive, but there are also certain applications where an ozone concentration pump (compressor) is appropriate. In some cases, you might decide to treat the water atmospherically in a holding tank or pond using an ozone diffuser. The next step is to calculate the retention volume required to maximize contact time. This is easy; simply multiply the time required by the operating flowrate. If you’re running at 10 gpm and require six minutes of contact time, you’ll need a total mixing/retention tank volume of at least 60 gallons (227 liters). Don’t overlook industry best-practices here when it comes to siting and selecting your diffusers. Make sure that you’re allowing for the smallest bubbles possible in contact with as much water as you can. Monitoring of ozone residuals in the downstream water is wise when working with fluctuating contaminant levels. Where budget permits, automated process monitors can be installed that have data-logging capabilities, as well as analog voltage outputs to signal other monitoring and automation components. After sizing and selecting system components, safety measures and monitoring, the appropriate consideration should be given to operating procedures, minimum maintenance requirements and operator training. When I consult with dealers or end-users on malfunctioning ozone systems, the most common problem that I see is poor maintenance and upkeep. Ozone systems, like all water treatment technologies, do require periodic maintenance, so plan appropriately. • Ozone generators work best with cool, dry air (<-60°F dew point, which is a relative humidity of <1%). 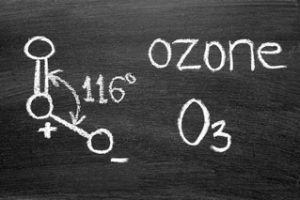 While ozone costs more upfront, it is often cheaper to maintain and operate than other oxidizers. Ozone is a proven technology that can help you make better water for your clients. 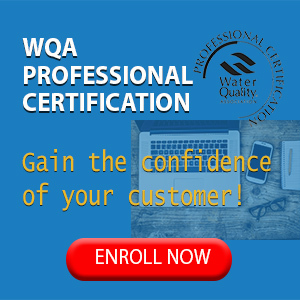 You’d be wise to learn more about this useful tool by reading trade journals like this one, taking classes from the various manufacturers and dealer networks and, of course, using WQA’s Modular Education Program (MEP) to improve your own personal knowledge base.